Tie is an essential part if a formal attire and compliments your look if an appropriate style of tying a tie is opted. There are various form of tying a tie depending on the occasion and one that’s suits you style including Atlantic, St. Andrew, Bow tie Kelvin, Plattsburg, Oriental but the most famous ones are Four in Hand knot, Windsor knot, Half Windsor knot, Bow Tie and Pratt knot. Though tying a tie may seem a hassle but with some simple steps you can learn to tie a tie not only in an easy manner but also very quickly. We are going to discuss the two most popular styles of tying a knot, Four in Hand knot and Windsor knot. The reason for high popularity of Four In hand tying style is that this technique provides a very simplistic approach towards tying a tie. This style not only looks stylish and elegant but also gives a fast way of tying a tie and is suitable for any occasion. Four in Hand is complimentary with thin collar opening. In this form of tying a small asymmetric knot is formed leaving a long length of tie. This is not exactly appropriate for formal events but is well suited for regular occasions as it provides a quick and easy form of tying a tie. Go through the following steps to know how to tie a Four in Hand knot. 1. Take the tie and place it such on your neck that the wide end of the tie falls on your right hand side and the narrow end of the tie is on left side of yours. Place the tie such that the wide end of the tie is extending longer compared to the narrow side. On an general estimate is about 8-10 inches longer. 2. Hold the wide end of the tie and get it across the narrow end. 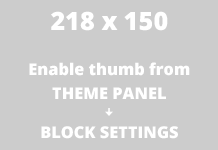 Make sure that it is on top of the narrow side and is going to the left. 3. In this step gets the wide end of the tie across the narrow end again but this time from underneath the narrow end going towards right. 4. Again repeat the process of turning the wide end of the tie across the narrow end and from above it this time. 5. Now take the wide end of the tie, take it upwards through below the part of the tie on the side of your neck. 6. 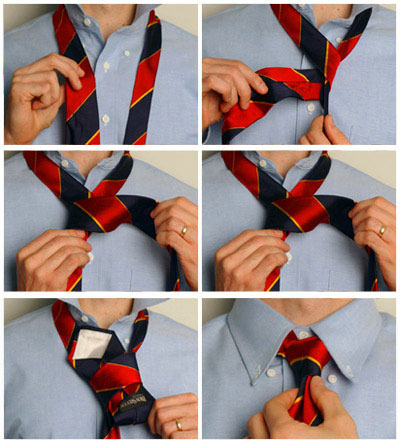 After taking the tie upwards you would find a loop which is created in the last step. Take the wide end of the tie through this loop and tighten the tie around your neck according- to your need. By following such simple steps you can make yourself ready and suave in a matter of incidents. 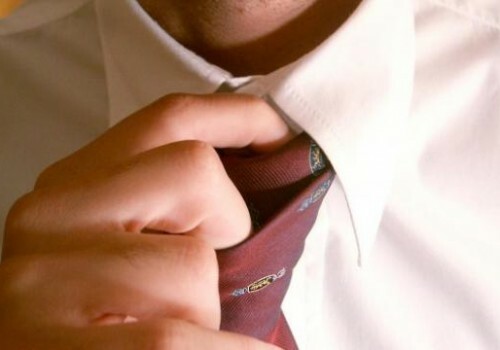 After few practices you will find this technique a very fast way of tying a tie. This form of tying a knot is popular among the young crowd as it is gives more of a semi-formal style. Another popular style of tying a tie is Windsor knot and is more gentleman or formal way of tying a knot as it projects more of strong and confident style. For this reason, this form of tying a tie is a favorite choice of men for occasions job interviews, official presentations, courtroom appearance etc. This form also provides an easy way of tying a knot and is well suited for spread collar opening. It provides asymmetrical and thicker knot as compared to Four In Hand technique. You can learn to tie a Windsor knot in few easy steps give below. 1. Take the tie and place it such on your neck so that the wide end of the tie falls on your right hand side and the narrow end of the tie is on left side of yours. Place the tie such that the wide end of the tie is extending longer compared to the narrow side. On a general estimate is about 10-12 inches longer. 2. Take the wide end of the tie over and across the narrow end. Make sure that it is above the narrow side and is going to the left. 3. Next get the wide end upwards through the loop formed between the tie and your collar. 8. Finally get the wide end of the tie down passing through the knot formed in the front. 9. In the end tighten the knot accordingly while pushing it towards your collar. This again is an easy technique to learn and provides a perfect way to tie a knot no matter whatever the occasion maybe.